The interdepartmental research group NeuroHumanities Studies was created in 2011 and proposed by the Department of Humanities of the University of Catania. 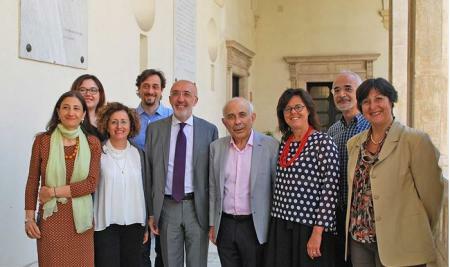 In the following years the research group developed collaborations with the Departments of Medical and Surgical Sciences, Drug Sciences, Chemical Sciences, Mathematics and Computer Sciences and Biological Sciences of the University of Catania, the C.N.R. of Catania, Messina and Pisa and other national and international scientific institutions like VISLAB Laboratory of Neurobiology at University College London, UOS Research Cluster on Cognition and Poetics University Osnabrück, The Embodiment Lab of Bernard College della Columbia University New York, Center for Literary and Cultural Research Berlin, Myrifield Institute for Cognition and the Arts, Heath, MA, The Neurohumanities Research Group (NRG) of the Duke University. The research group has created a digital multidisciplinary research community (www.neurohumanitiestudies.eu) with an international Board of Directors in order to develop and structure a linking platform for neuro-scientific, cognitive topics and humanities. The research group promotes and coordinates studies and researches crossing knowledge of cognitive sciences, biology, and informatics in order to understand complex phenomena of human mind like memory, consciousness, imagination, cognition, learning and creativity. In 2015 the research group founded the Interdepartmental Research Centre NEWHUMS – Neurocognitive and Humanities Studies, in order to develop and promote transdisciplinary researches among scholars from different disciplines. The Centre aims at fostering communication and scientific collaborations among scholars at local, national and international levels. The creation of a digital platform to share information about studies and researches conducted in the fields of cognitive neuroscience, humanities and fine arts. Organization of international and interdisciplinary conferences, NHS Dialogues, every year. These meetings have a peculiar format: a real dialogue between keynote speakers from the field of neurosciences and humanities, and ten discussants with plenty of time for discussion and a final roundtable. The first NHS Dialogue was with Semir Zeki and Michael Burke in 2014, the second was with Anjan Chatterjee and Gerard Steen in 2015 and the third will be with Mark Turner, Arthur M. Jacobs, Helmut Leder and Semir Zeki in May 2016. 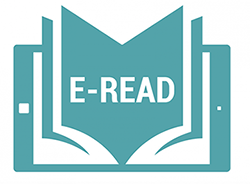 In 2016 the group will start YouRS, Young Researchers Studies in Neuro Humanities, a book series dedicated to neurocognitive and humanities studies in English, published both in digital and paperback.